Steelers Should Not Get Caught in the Trap Game Against Jets | "IT'S A STEELERS WORLD"! Sure, Ryan Fitzpatrick has thrown nine interceptions over the past two weeks. Sure, he may be playing the worst game of football in his career right now. Sure, he will be stepping into Heinz Field after “Redemption Sunday”. But that is the surefire recipe for a “Trap Game” in my well experienced book. 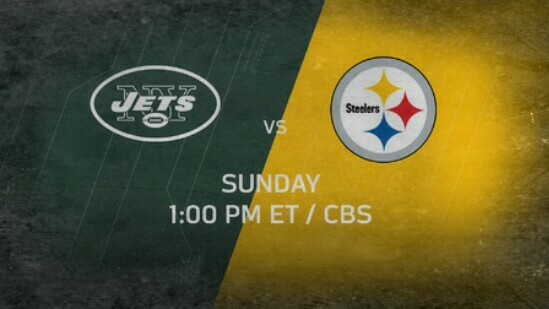 The New York Jets(1-3) will be heading into Heinz Field to take on the Pittsburgh Steelers(3-1) two weeks after the smashing the Steelers took against the Philadelphia Eagles in the City of Brotherly Love. And one week after Pittsburgh got their act together, demolishing the Kansas City Chiefs 43-14. Hence the dubbing of “Trap”.. because we all know that the Steelers have been known to downplay towards less than worthy opponents. Big Mistake. How is Pittsburgh going to enter this game on Sunday versus the Jets? This remains to be seen. But I know how the Steelers should enter the game. Like they are playing the best team in the National Football League. Because that has been the problem Pittsburgh has yet to overcome over the past decade or so. Downplaying of lesser opponents..or so they believe to be lesser. The Jets’ defense are average in defending the pass (288 yards per game), but they are doing well on the ground, limiting all previous four opponents to under 86 rushing yards (70 yards per game). But what they have yet to come across is the likes of a Steelers high powered offense. In other words, covering receiver Antonio Brown and stopping running back, Le’Veon Bell may seem unobtainable. However, New York still has one prolific corners in the game in Darelle Revis, who may not have been playing his best game as of lately but nothing would surprise me more than to have his game magically upped this Sunday at Heinz Field. Yet..the Steelers receivers aren’t buying the hype about his apparent decline. “(Revis) is a technician who has been at the top of his game for a long time,” WR Darrius Heyward-Bey said about the 31 year old CB..leading me to believe that Pittsburgh knows that he could have a ‘Breakout’ game at any moment. Which is exactly how they should approach the upcoming matchup. Then we have Fitzpatrick, who let’s face it..is playing exactly how he has always played. Minus the somewhat semi-impressive 2014 NFL season that had New York shelling out $12 million to obtain him. But he is in a position where playing “Balls Out” is the only option he has..and that worries me. And nothing that he would love more than doing just that against the Steelers. Now..for the other side of the ball. WR Antonio Brown, who since 2013 leads the NFL with 403 receptions, 5,400 yards and 24-100 yard games. RB Le’Veon Bell, who has just one off of an amazing 18 carry..144 yard game against the Chiefs in his first game back after a three game suspension. And future Hall of Famer QB “BIG” Ben Roethlisberger, who went 22-27..throwing for 300 yards and 5 touchdowns..also voted the AFC Offensive Player of the Week, all stats of which should be forgotten entering into week 5. Why? I’ll explain why. Every time the Pittsburgh Steelers go into a game believing that they should win..they have lost. And by believing.. I mean us as fans. Because I cannot count how many times I have heard or seen fans say..”Aww..this is an easy win for us”..only to have the outcome turn out otherwise. Something us as fans will most likely never will refrain from..but the team should seriously consider. Online: NFL.com Game Pass on delay in the US and live for international viewers or via a subscription to NFL Sunday Ticket. You can also follow the plays via the NFL Game Center.